There are so many islands that build up the Caribbean. Each of them come with their own specific beauty. 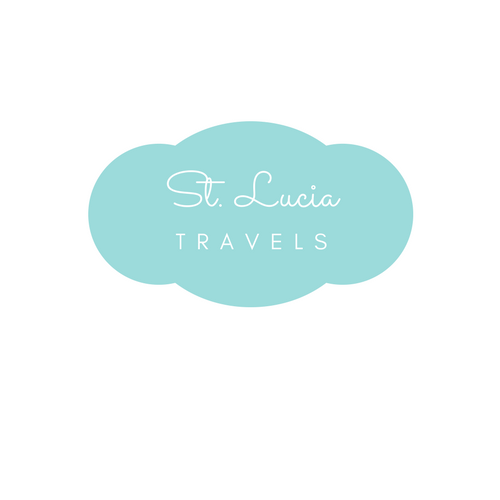 Today I want to tell you why we think St.Lucia is one of the best Caribbean island. St.Lucia is known for its astonishing beauty. Imagine waking up every morning to the sight of the majestic Pitons. Flying above these spectacular mountains are a sight to see. They look so rich, lush and green from up above. The most amazing thing is when you actually climb the Gros Piton, the view from up there is a something that you and your friends will be talking about for a long time after your trip. Try booking your hotel or villa in Soufriere so you won’t miss out on this view. Being an island, this country is made up of many beautiful beaches. Each one of them has something different and exciting to offer. There are some beaches on the island where it is made up of black sand. That’s is because of the volcanic ashes that were scattered on the island many years ago, when the volcano was active. Some of the beaches are best for snorkeling. The marine life underwater is such an amazing thing to see. The best beach to snorkel on the island would be Anse De Piton, right beneath the Pitons. St.Lucia has many natural resources, chocolate being one of them. Chocolate or cocoa as they call it is naturally grown in St.Lucia. There is a cocoa plantation where the cocoa is picked from the trees and put to dry out in the sun. From that, they are able to make that special thing that we love so much, chocolate. In St.Lucia, August is known as a chocolate month. To celebrate chocolate month the hotels serve a variety of dishes, where they incorporate chocolate into almost every meal. Be sure to look out for the article next month about how the chocolate is produced in St.Lucia for Cholate month. Think luxury, relaxation, peace, and tranquility. That is exactly what you will get when you get to St.Lucia and stay at one of their magnificent resorts. Most of the islands best resorts are located in Soufriere. Because of their location, they have the most spectacular views of the pitons and the deep blue ocean. Mostly all of them come with your very own private pool, butler services, and many many more luxury amenities. Just to name drop a few, The Ladera Resort, Jade Mountain Resort and Spa and Coconut Bay Resort and Spa are three of the top resorts on this paradise island. How exciting would it be to go through the world’s only drive-in volcano. That would be almost terrifying and exhilarating at the same time. Imagine driving through, where you could literally see the bubbling sulphur just inches away from you. The best time to visit this attraction would be very early in the morning when it does not get too hot, and it does not smell as bad. It is known to have a smell of rotten eggs, so if I were you I would get an early start. Try booking a tour with the many different tour companies on the island to get the best experience. One of the best things about the St.Lucian people is that they love to cook. Because of that, they have the most amazing cuisines in the islands. The national dish of St.Lucia is called Green figs and Saltfish. It is made up of boiled codfish, some vegetables, and green bananas. It is the best thing that your mouth could ever taste. Being an island, pretty much everything is always fresh. So if you looking for some fresh lobster or just the catch of the day, then you don’t have to look any further. This island has got it for you. Although St.Lucia on its own is such a beautiful island, it would not be as beautiful if it were not for the people. Kind-hearted, helpful, generous, and always happy, that’s how you describe the amazing people of this island. Nothing is too much for them to do for you. The smiles on their faces as you walk past them gives you a feeling of warmth and happiness. Living without all the luxuries we have in the more Industrial Countries and still being happy and fulfilled gives you a sense of gratefulness. In St.Lucia, there are so many different attractions that you will never get tired of things to do. One of these attractions are the many waterfalls that surround the island. Because there are so many rainforests all around, these also come with some spectacular waterfalls. Torille waterfalls is one of the island’s biggest waterfall. You can find it on your way to the Fond St. Jacques rainforest. There are so many other amazing and fascinating waterfalls on the island. You definitely don’t want to miss out on them. St.Lucia produces most of its own alcohol. The history between the rum and the people go way back to the seventeenth century. It is a link between the soil from which the sugar cane grew to the way we express ourselves during Carnival. Today we have many different brands of rum that are made right here on the island. The Chairman’s Reserve is one of the most popular ones on the island and can be found at mostly any supermarket on the island, and some are even found online. The weather on this island is almost always perfect. Sitting at 25 to 30 degrees mostly all year round. There is always a warm breeze coming from the ocean so it’s not too hot to breathe. Another great thing is that, even if there is a hurricane or if it is the rainy season, this island almost never gets hit by severe storms. When it does rain on the island, it almost always lasts for about five minutes, and the sun brings out it beautiful face again. So get ready for some relaxation in the sun whiles sipping on your favorite island cocktail. Well folks, here are our 10 reasons we think St.Lucia is one of the best Caribbean islands. Be sure to tell what you think, and when you finally book your flight to St.Lucia, don’t forget to share your experience with us about your visit to this paradise island.